In a courtroom in South Florida last week, a DNC lawyer said openly that if the party wanted to do things like the old days and pick a candidate over cigars in back rooms, it would be within their legal rights to do so. The class-action lawsuit has been deliberated since October, 2016. It was filed by Bernie Sanders voters and donors against the DNC, and has largely been ignored by mainstream media, many of whom have labeled Sanders supporters as a collective group of sour grapes who should simply unite with the establishment Democrat wing of the party against President Trump. The plaintiffs seek relief for all donors that gave to Bernie Sanders — nearly 7 million individual donations. They are also seeking relief for those that donated to the DNC during the primary. 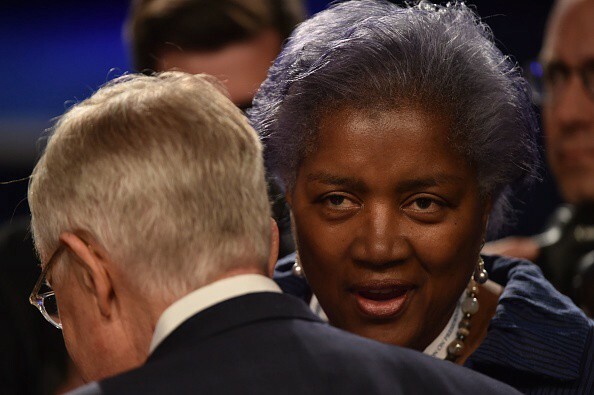 The DNC’s lawyer also implied that, despite the DNC’s charter and bylaws stating that it must be neutral during Democratic primary contests, there’s no contractual obligation to follow through. “There’s no right to not have your candidate disadvantaged or have another candidate advantaged. There’s no contractual obligation here…it’s not a situation where a promise has been made that is an enforceable promise,” Spiva said. In one of the more strange defense rationales, Spiva evoked baptism to suggest the term “impartial” is too vague and open-to-interpretation to be enforced legally. Beck pointed out that the neutrality pledge isn’t only stated in the charter — former Chairman Debbie Wasserman Schultz went on national television many times referencing the charter and the DNC’s pledge to be neutral. President Trump was also used during the DNC’s argument; Spiva pointed out then-candidate Trump’s promise to build a border wall funded by Mexico during the campaign, wondering if a court would rule in favor of Trump voters who donated money during the primary based on that promise and sued the president for failure to uphold it. This, of course, is an apples to oranges comparison — candidate Trump was an individual candidate rather than a private organization overseeing Democratic primaries structured with bylaws stating its neutrality in primary processes. The DNC has not responded to TYT Politics’ request for comment regarding its lawyer’s statements in court. TYT Network is the largest online news network in the world, covering politics, pop culture and lifestyle. The Young Turks is the flagship show which includes TYT Politics, TYT Interviews, What the Flick? !, ThinkTank, TYT Sports, Pop Trigger, Nerd Alert, and The Jimmy Dore Show.